Chronic Wasting Disease afflicts white-tailed deer (pictured), mule deer, moose, reindeer and elk. Don’t be fooled by the name: The wildlife and chronic wasting disease research group has a broader mission than you might think. Yes, the research focuses on white-tailed deer, primarily, and on CWD, a baffliing affliction of deer and elk. But for the dozens of undergraduate students who have joined this collaborative effort over the years, the group also is a portal, of sorts, to wide-ranging adventures in research. “More than 50 undergraduates have worked with us in the past 15 years. 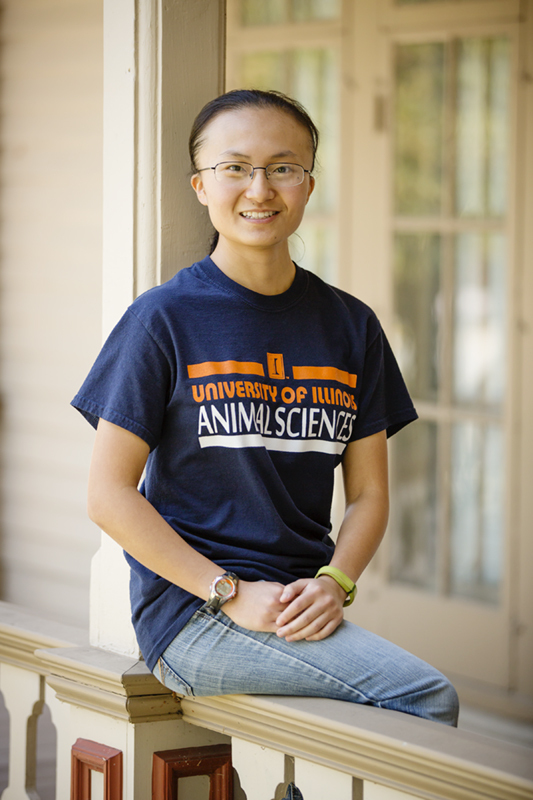 And most have gone on to successful careers,” said Nohra Mateus-Pinilla, a veterinary epidemiologist with the Illinois Natural History Survey who leads the effort with animal sciences professors Jan Novakofski and Michelle Green. 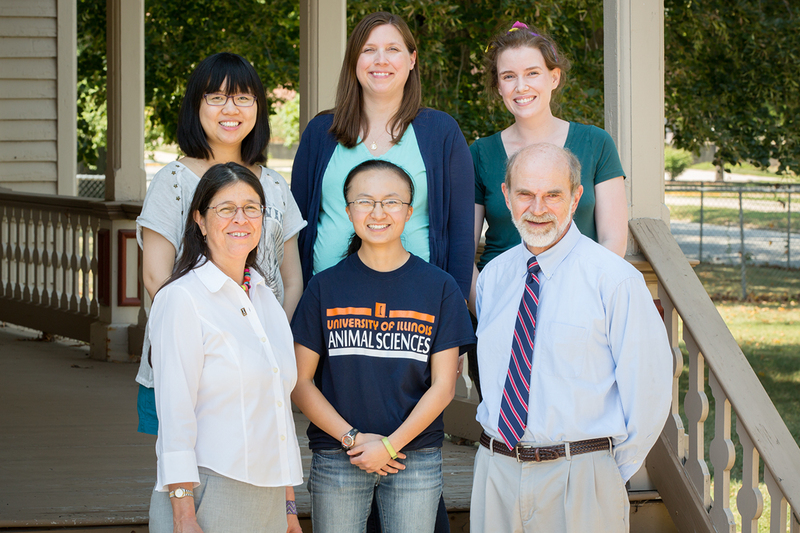 The CWD research group includes, clockwise from top left, Ting Tian, Michelle Green, Sharon Dubosky, Jan Novakofski, Monica Millard and Nohra Mateus-Pinilla. One former student is a conservation police officer. One works for the U.S. Fish and Wildlife Service. Several are in veterinary medicine. Another, Amy Kelly, is the lead computational biologist at the U.S. Department of Agriculture in Peoria, Illinois. Others are still in school, pursuing careers in academia. 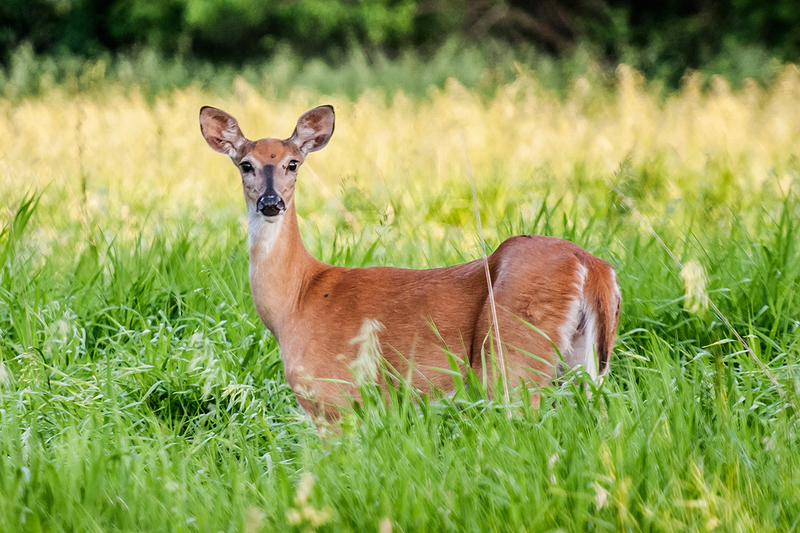 “All students begin with deer tissues, interfacing with the Illinois Department of Natural Resources to track chronic wasting disease in the state,” Mateus-Pinilla said. CWD is like mad cow disease in that it is associated with a misfolded protein that propagates in the animal’s brain, eventually causing its death. When regions with diseased deer are identified, IDNR sharpshooters thin out deer herds in those localities to curtail the spread of the disease. They send tissue and organ samples to the U. of I. for testing and analysis. 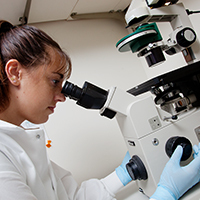 Undergraduate student Anna Bengtson looks at tissues under a microscope. Junior Monica Millard joined the lab in the spring of 2017. Some students move on to projects unrelated to CWD. One decided she wanted to study river otter behavior and pollutants. Another chose to look at hair samples from mammals, and another studies blood parasites in birds. Mario Barenas, a senior majoring in animal sciences from Carolina, Puerto Rico, is applying both to veterinary school and Ph.D. programs. 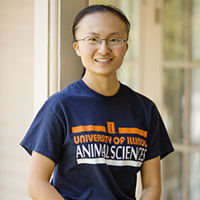 “My hope is to become a well-versed wildlife veterinarian and biologist in order to work with conservation species in both clinical aspects and research,” he said. The regular work of the lab is equally varied. Genetic tests show how deer populations are related. 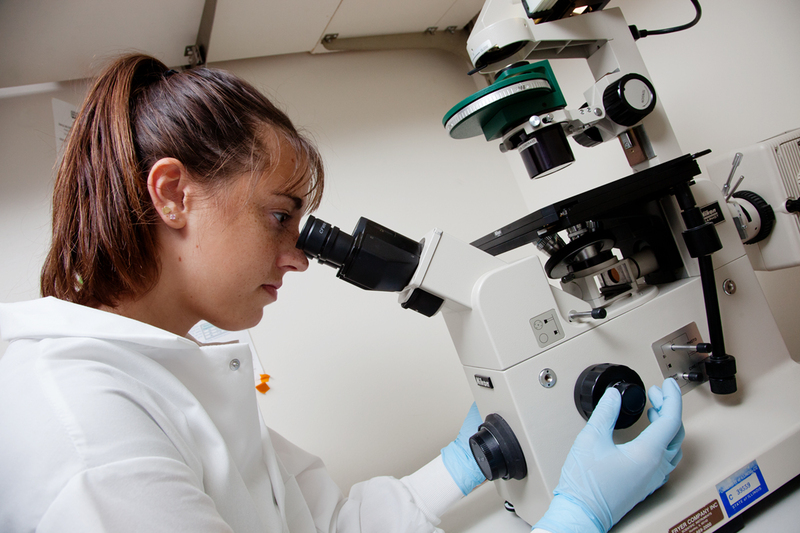 Fetal tissues allow paternity tests to track how far males range in the mating season. Dubosky studies the plants the deer rely on for forage. Others look at tick- and mosquito-borne infections in the deer.